Research has shown that the simple act of writing a goal greatly increases the chances of accomplishing the goal. If the goal is broken down into action steps and the action steps are tracked, goals have an even greater percentage of success. At school, your student is writing an academic goal and will include their personal goal too in a Leadership Notebook. 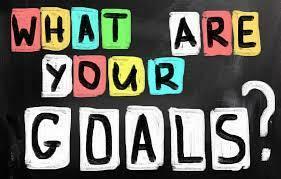 You will gain a lot of information on how your student is doing if you ask your child to tell you about his or her goals. The goals chosen are meaningful to your student so be sure to practice Habit 5: Seek First to Understand, Then to Be Understood. Please support your student in writing their personal goal for home and action steps to help your student reach this goal. There is an example on the back of this letter to support you and your child as they write their new personal goal. For our youngest students, please feel free to have them draw a picture along with the words to help them remember and understand their goal. For example, the sample goal provided is about tying shoes, students would draw a picture of a shoe and practicing with their family and by themselves. We have included two copies of the form so you can keep one at home and one will stay at school for your child’s Leadership Notebook. There is also a calendar on the back of the goal so your child can keep track of the days they completed their action steps to work towards their goal. We look forward to having your student share their progress on their academic goals as well as their personal goals with you during our student led conferences. We love to celebrate with your students as they achieve their goals! Please reach out to your student’s classroom teacher if you have any questions or would like support in writing your child’s personal “at home” goal. The forms are also on the “documents” link on our website and our app if you need to print out another copy.